‘Twas the days before Christmas, and all throughout town; the spirit of the holidays could be felt all around. Shining lights and a Ferris Wheel lit up the night; as a festive parade starring Santa provided quite a sight. Unique shops and events give many a reason; for you to visit Waco this holiday season. Settled among the rolling hills of Central Texas near the intersection of the Brazos and Bosque rivers, Waco is an inviting town with plenty to see and do during the holidays. Whether you’re a fan of Fixer Upper or you’re looking for a fun weekend with your family, you’ve found just the place. Read on to discover some of Waco’s Christmastime fun. Tour Texas Tip: Need somewhere to stay? Waco has numerous hotels to choose from, including a La Quinta Inn & Suites and a Hilton Garden Inn that just opened. To stay like a Wacoan, check out the local bed and breakfasts or vacation rentals. 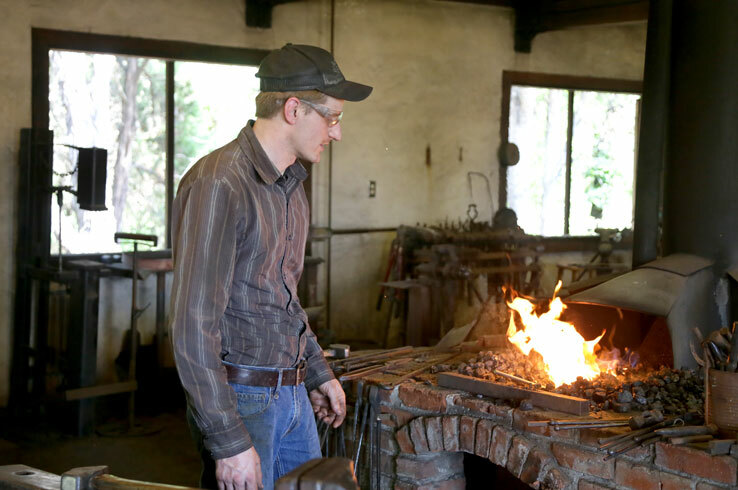 Learn how to make cheese; watch as blacksmiths, carpenters, and potters demonstrate their craft; and help assemble an old-fashioned timber-frame barn the traditional way. Get your hands dirty and experience life on the frontier at Waco’s annual Homestead Fair (Nov. 23 – 24). This family-friendly event features horse-drawn hayrides, a petting pen that includes a few cuddly puppies, agricultural exhibits, and live music. Go on the historic buildings tour to see structures as old as a New Jersey barn from the 1760’s, then check out a gristmill from the 18th century or the agricultural exhibits that show various aspects of working a homestead. When your appetite kicks in, stop by the food court for brick-oven pizza or hamburgers and fries, which you should absolutely follow up with a few scoops of maple pecan ice cream. Explore the rest of the fairgrounds for even more demonstrations, hands-on activities, seminars, and many other things to see and do that give a glimpse of the homestead life. Each year, for the holidays, Waco’s downtown area transforms into a winter wonderland full of many marvels to behold. 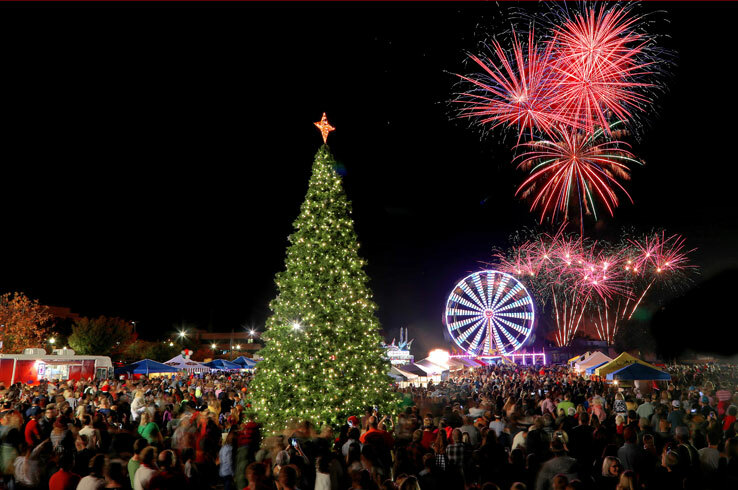 All the yuletide cheer kicks off on Nov. 30 with a spectacular tree lighting ceremony and fireworks show, which you can enjoy as you munch on tasty treats from local food trucks. Tie on your running shoes and don your finest Santa hat as you jog either the 5K or 10K routes of The Wonderland Run (Dec. 1), then watch as the Wonderland Parade marches by before sliding down the snow tube hill or riding on the towering Ferris Wheel. Throughout the rest of the weekend, shop for one-of-a-kind gifts from local artisans and vendors at the Mistletoe Market, go on carriage and train rides, and check out the live music and entertainment at the Holiday Entertainment Stage. With so much holiday fun to be had in just one weekend, Waco Wonderland will have you feeling the festive spirit of the season. Cross a few items off your shopping list and take in all the holiday-themed festivities at Magnolia Market’s own Christmas at the Silos (Dec. 7 – 8). Browse for gifts in the Christmas Market, indulge in something sweet from the Silos Baking Co., and spend quality time with your friends and family. Get something from the on-site food trucks and stick around for a screening of a timeless holiday movie in the evening, which you’ll need to purchase a ticket for. 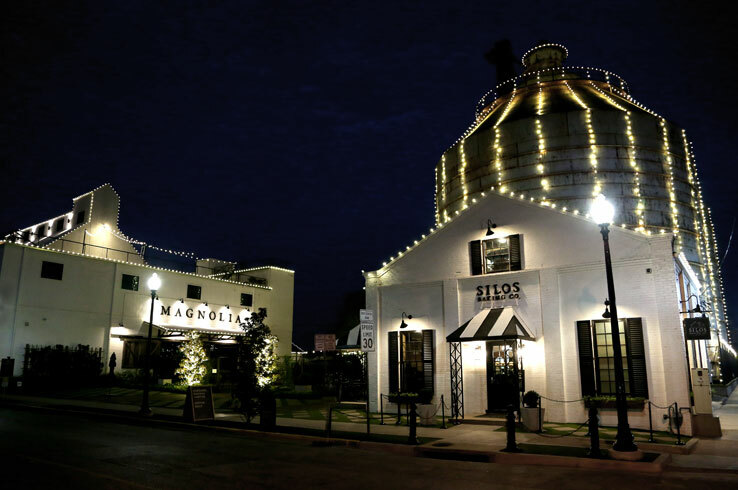 If you’re a fan of Chip and Joanna Gaines or you’re looking for a fun way to spend part of your holidays in Waco, don’t miss Christmas at the Silos. Magnolia Market is one of the top shopping destinations in Texas, but it’s just the tip of the iceberg here in Waco. 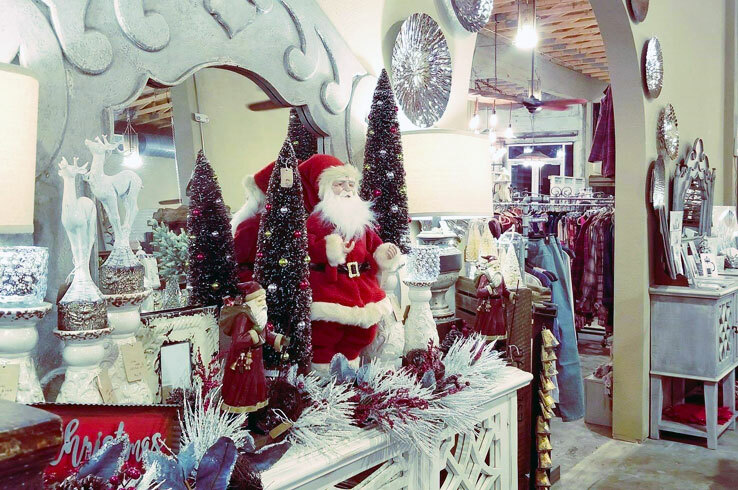 Get your list, check it twice, then step into any of the specialty stores here in town that are all decked out for the holidays. Browse the eclectic collection of more than 60 boutique shops in Spice Village, where you’ll find a staggering array of unique goodies ranging from bath products and clothing to home décor and jewelry all under one roof. Uncover even more treasures at Simply Irresistible, a locally owned shop full of farmhouse, industrial, and vintage wall art, home décor, clothing, and jewelry. Get your presents at these shops and you’ll be everyone’s favorite gift giver on Christmas morning. Although the shining Christmas lights and all the one-of-a-kind shopping may bring you to Waco, there’s far more to discover here. One of the best ways to do just that is on one of several tours that take you to the hottest spots in town. 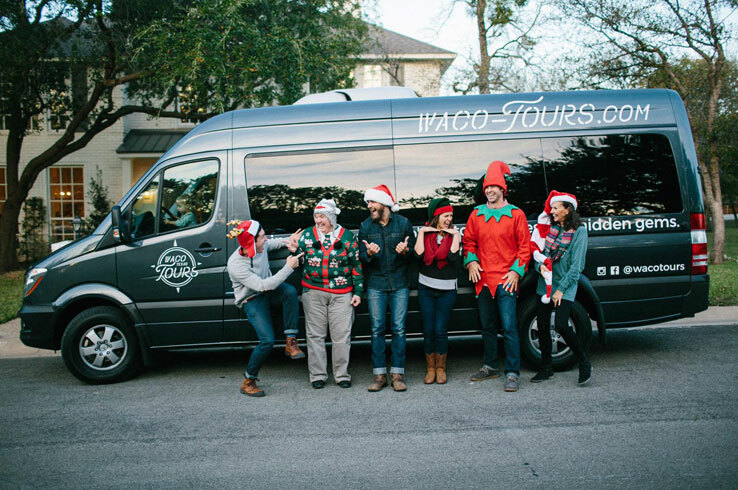 Waco Tours’ Classic Waco Tour is a 2.5-hour trip takes you downtown to Harp Design (featured on Fixer Upper), beautiful neighborhoods, and a local ice cream and coffee shop. Meanwhile, its River Cruise Tour is a two-hour adventure on the Brazos River. Admire gorgeous landscapes and spot wildlife, enjoy a view of Waco’s landmarks, and learn about Waco’s history and the people who helped shape it. Waco Wine Tours provides a different kind of taste of Waco, all while someone else does the driving. Try the award-winning tempranillo at Valley Mills Vineyard or the other delicious reds and whites at Red Caboose Winery and Waco Winery & Vineyards on this four-hour tour that includes a picnic lunch in a vineyard. For you Fixer Upper fans out there, Brazos Tours’ 2.5-hour excursion to the homes and shops featured on the show is a must. Although just one of these tours will keep you busy, they aren’t the only kind you can do. Ride horseback, visit one of the top distilleries around, or soar high above town on a helicopter tour. See your other options here. 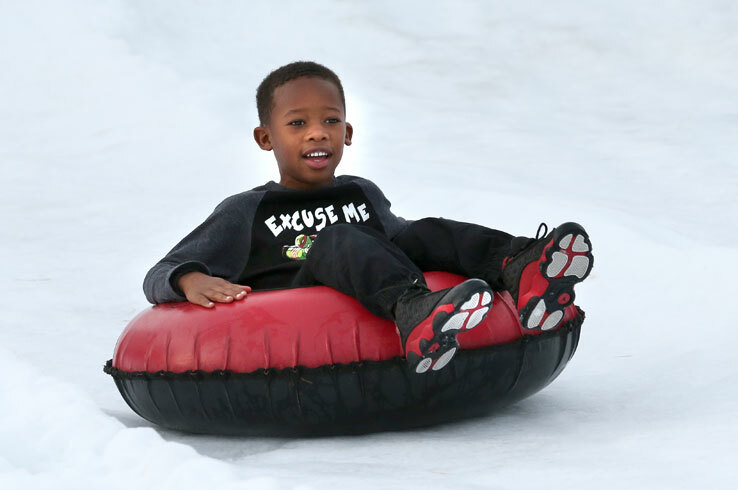 Whether you’re browsing for one-of-a-kind gifts at shops decorated for the holidays, tubing down a snowy hill, or watching a Christmas parade stride by, there are many ways to celebrate the season in Waco. Plan your visit here.